Let me caveat this by saying that the word “after” isn’t accurate, as this is really just the beginning. Design for me these days is a work-in-progress. 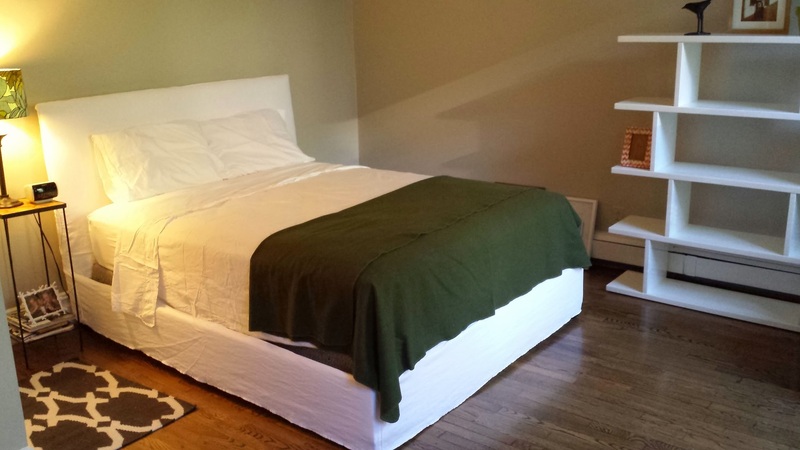 I had painters tackle the two bedrooms and the bathroom (I drew the line at those bookshelves, and my back thanks me). They did an awesome job (PaintYourApartment.com) and left me with a nice canvas of neutral. 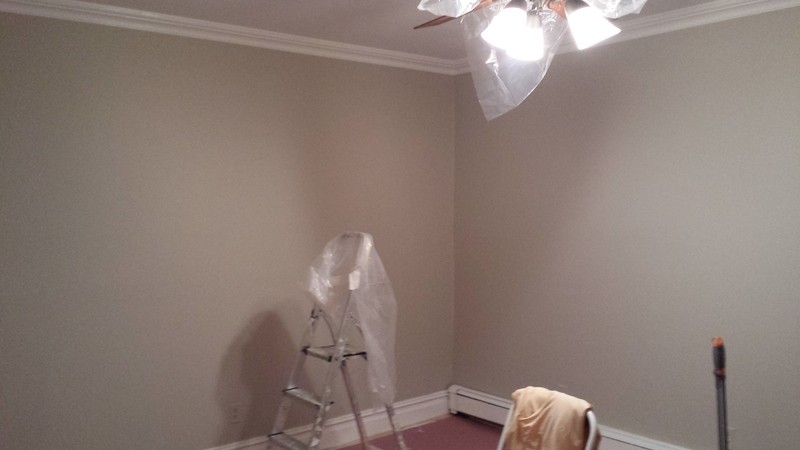 The grey in the master bedroom is taupe-ier than I expected (Revere Pewter by Benjamin Moore), but it works. More putty, less pewter. 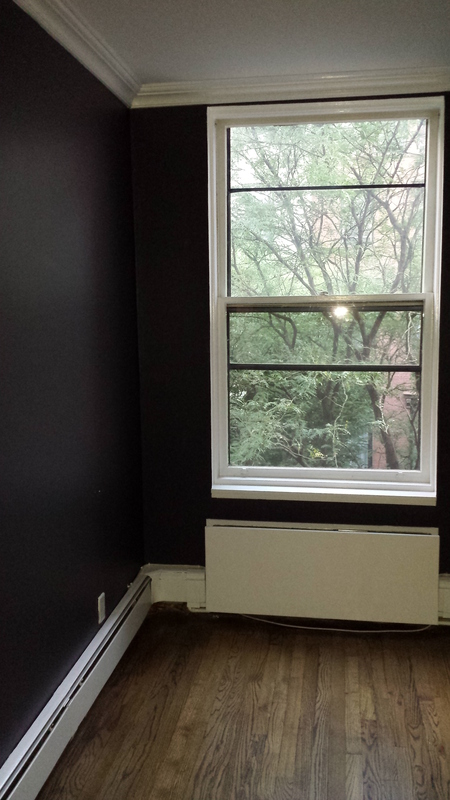 Speaking of, the dark paint in Bedroom #2 did wonders: Days’ End by Benjamin Moore. 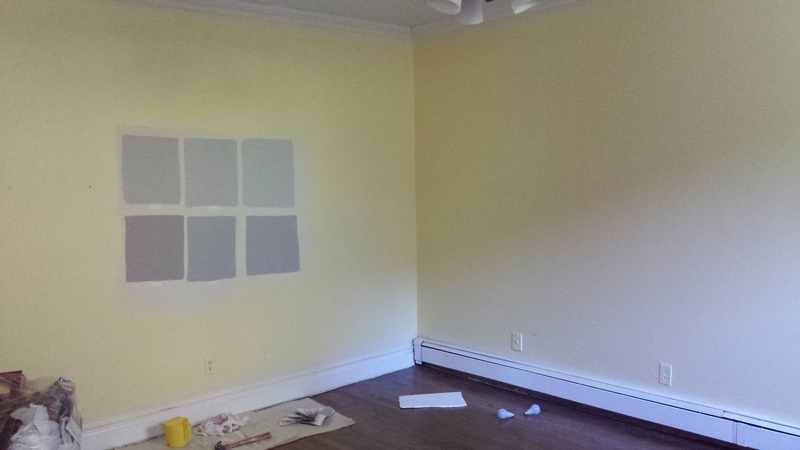 Out with the orange, in with a rich palette that moves from navy to gray to black depending on what time of day it is. 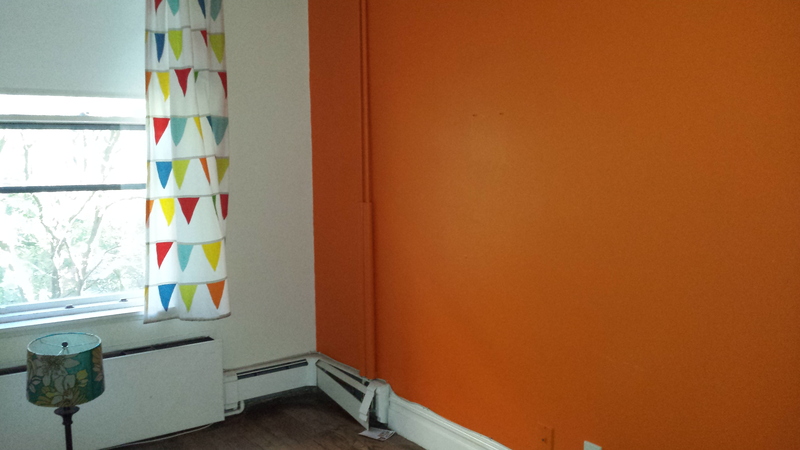 Many people think painting a dark color in a small space will only make the room look smaller. I think the opposite is true, and I’m loving the results: the dark walls bring some drama and play nicely with the white trim and walnut floors.